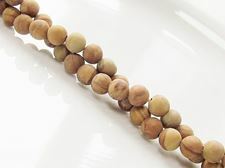 In fossilized wood all the elements are replaced by minerals such as chalcedony, but it maintains the structure of wood. 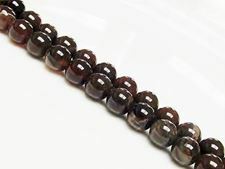 That is why it contains translucent to opaque stripes in black, cream and red brown hues. 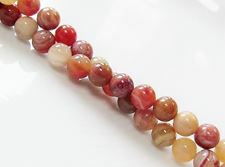 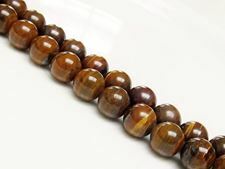 Often called petrified wood agate, it is not strictly speaking an agate. 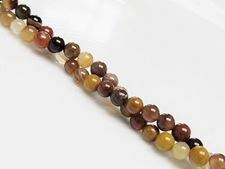 It is supposed to be a 'calming' stone that creates well-being ... don't we all need that sometimes. 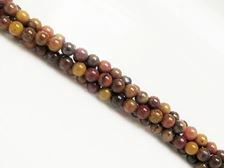 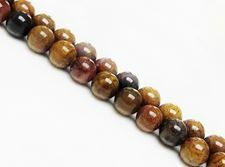 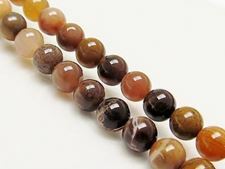 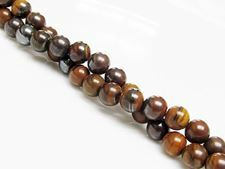 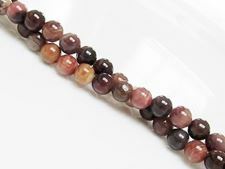 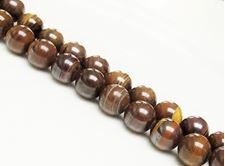 Tiger iron is a ferrous mineral mixture with thin stripes of jasper, chert, quartz and hematite. 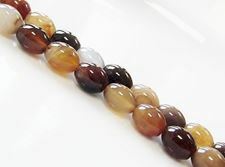 Its color shades range from golden brown, reddish-brown, gray-black to bluish..